This is an early and crude prototype that doesn't fully represent the intended concept but nonetheless is provided for your curiosity and perhaps even enjoyment. 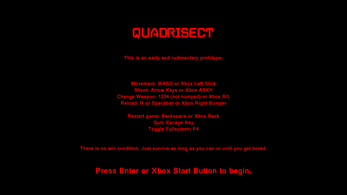 Quadrisect is a new kind of SHMUP that takes place in 4 directions. 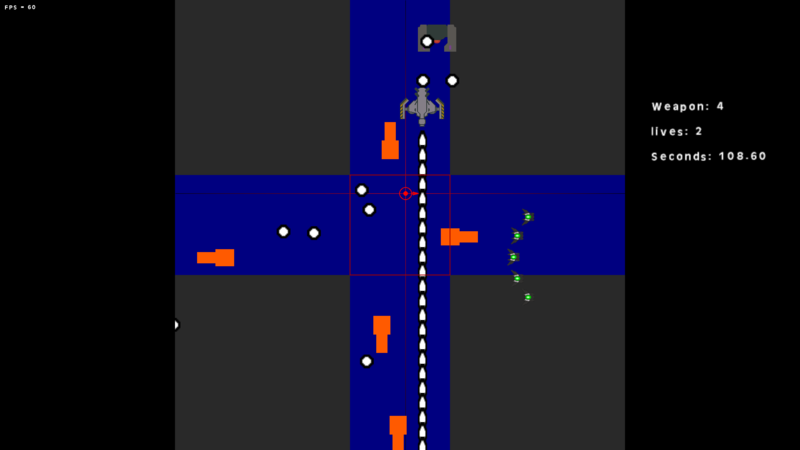 Utilize multiple weapon types and fight against aggressive waves of enemies to survive as long as you can. 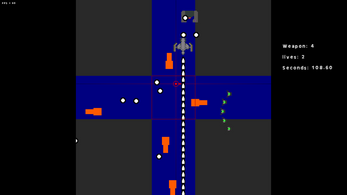 Controls are shown in-game. 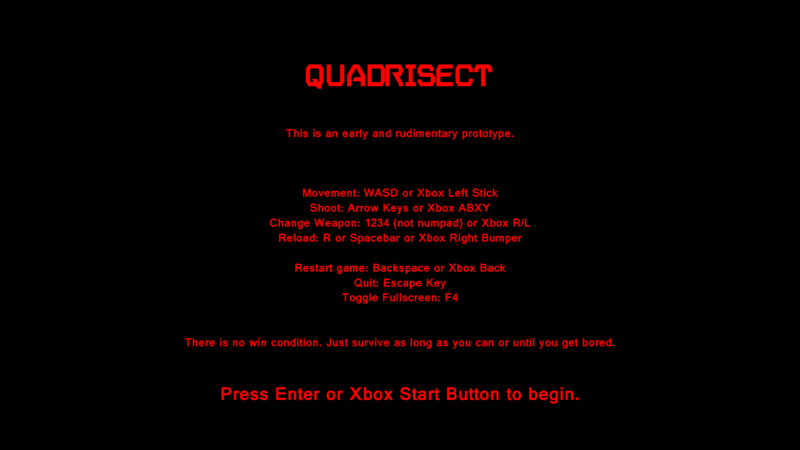 Gamepad supported.